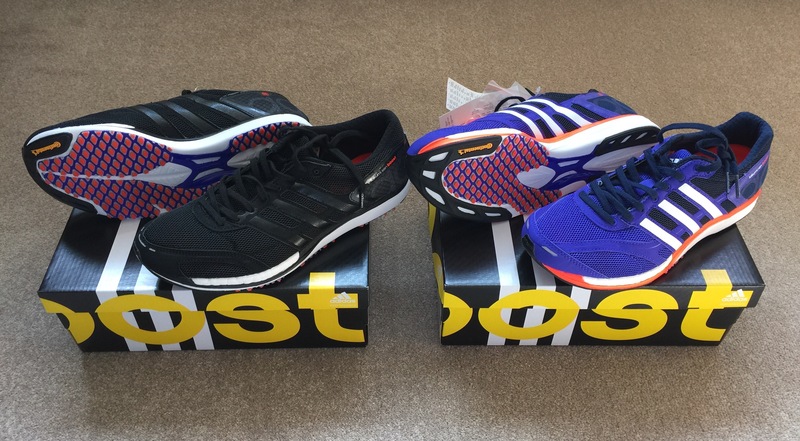 The adidas Boost shoe range boasts some of the most impressive running shoes to ever hit the streets. Dennis Kimetto smashed the marathon world record at Berlin in 2014 (link here), running in a blisteringly fast 2:02:57. It was interesting to note that he was wearing the adizero Adios Boost shoes. The adizero range from adidas feature a “light weight design for better speed and performance”. As a committed runner, I have become much more serious about my race times, so it seemed like a logical step to try out the adizero range. 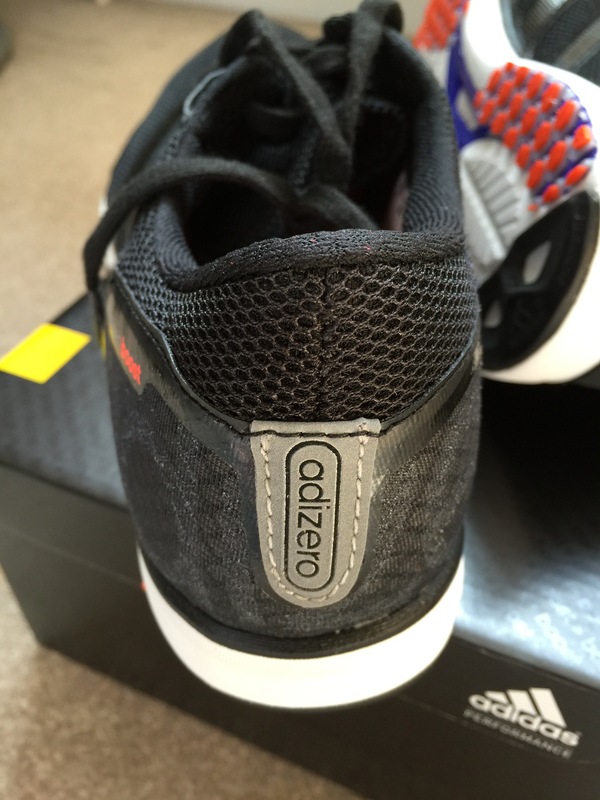 There are four adizero shoes available here in the UK, however, I was particularly drawn to the Takumi shoes, in no short part due to their weight. At a mere 170 grams (size 8.5), they were the lightest of the bunch and featured a continental rubber outer sole, which seems as though it could take some wear and tear. The limited reviews available also suggested that they are designed to encourage the runner to go fast, something which I welcome very much! Without hesitation, I ordered the Takumi Sen and Takumi Ren models, taking delivery for them just today. Priced at £120 each, they are not cheap, and one of the more expensive running shoes in adidas’s range. I am currently tapering for the Brighton marathon this Sunday (less than 3 days to go! ), so will be giving these shoes a thorough testing and review after this. However, preliminary thoughts are as follows. The shoes are both very firm and flat. 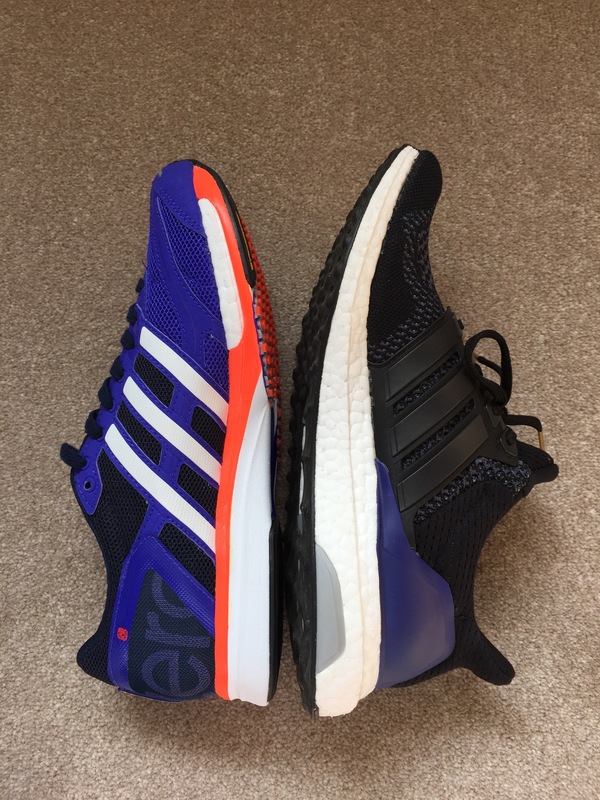 In comparison to the adidas Ultra Boosts (which I am a huge fan of), they are much harder overall (particularly the sole), and may take some ‘breaking into’ by the looks of things. 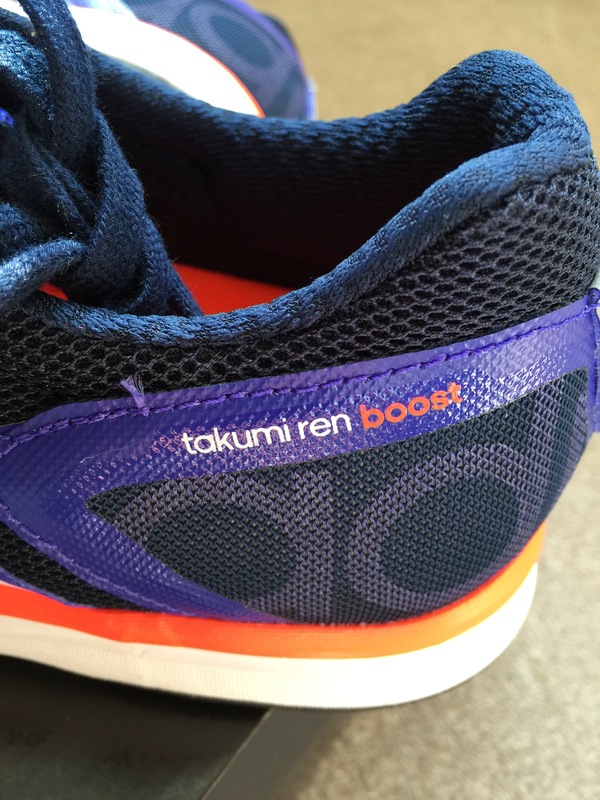 Comparing the Takumi Sen and Ren with each other show that the Sens (black ones) feature a slightly lower profile heel. 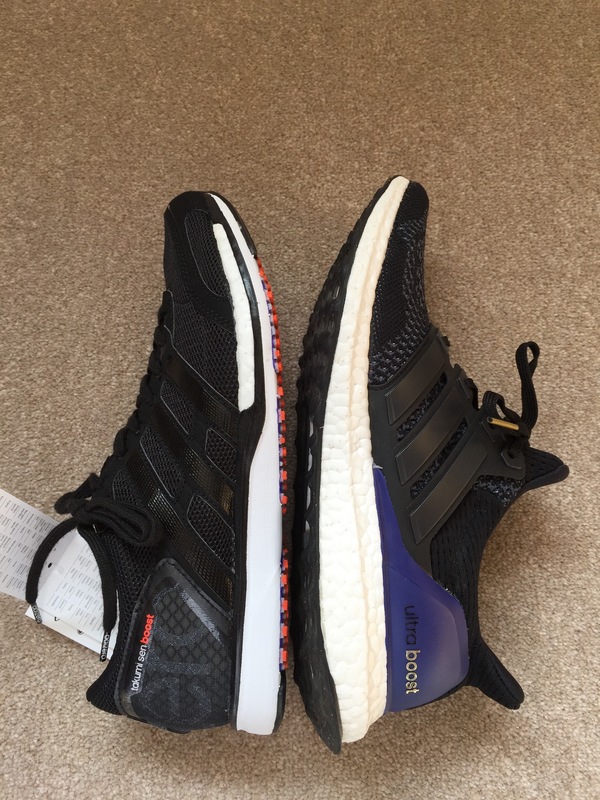 In direct comparison with the Ultra Boosts, there is far less cushioning and support. 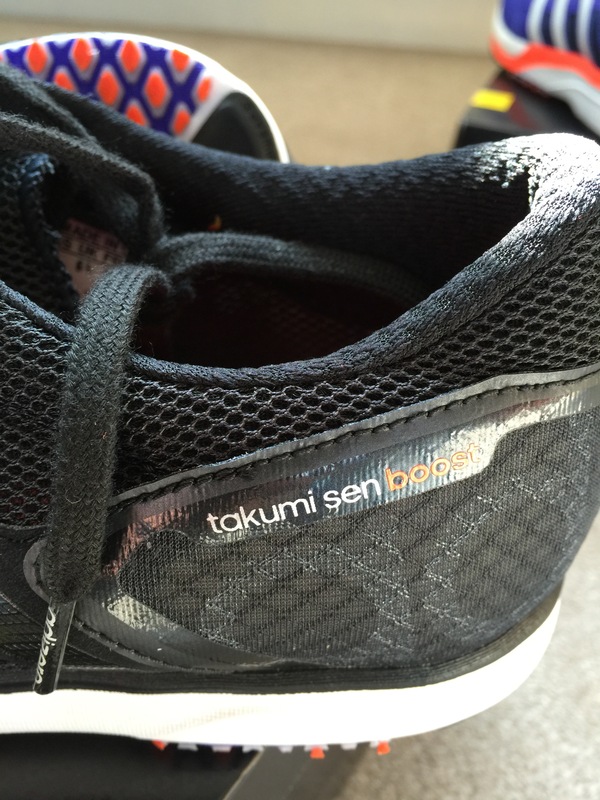 The Takumis definitely seem to be a shoe for the more conditioned runner who needs to be light on their feet and does not require the additional support. Aesthetically, both shoes are very pleasing and look the part. The small design details are a welcome bonus and add to the overall quality. 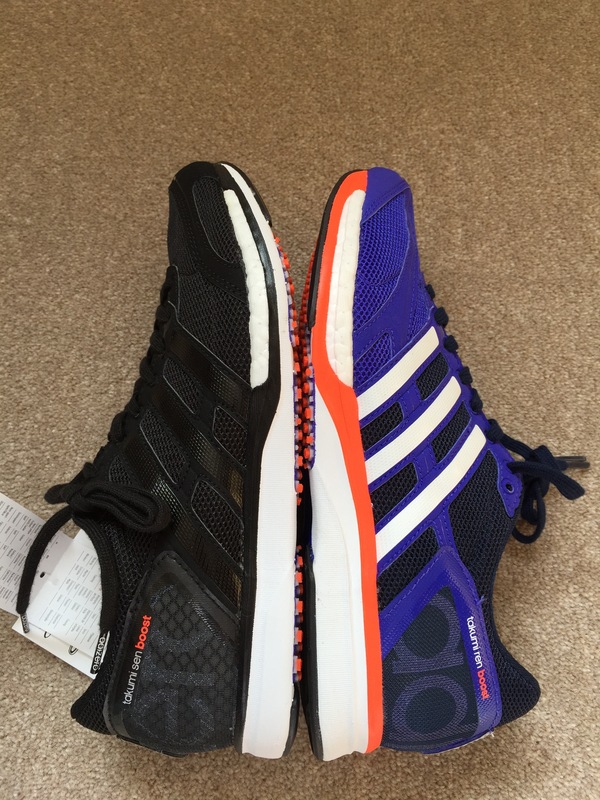 I will be giving these shoes a proper review here after the Brighton marathon, hoping that they live up to their reputation as a fast and comfortable long distance running shoe. Hi Sam, in the end, I returned the Takumi Sen. I found them to be extremely narrow and uncomfortable. The Takumi Ren are excellent, though. Low heel-to-toe drop and flat make them very speedy. I wear them for races up to 10k and they are very light. 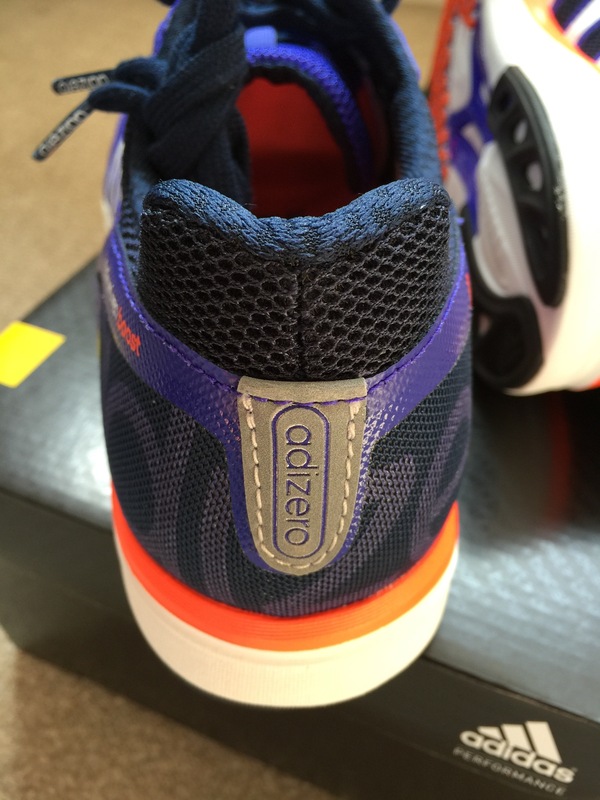 My all-rounder shoes for training though, are the adios 2.0s which offer slightly more support than the Rens. No probs. I really only briefly tried them on, and didn’t do any runs in them, so not sure how much more I can add. There are very minimalistic and coming from vibram should be okay. The only fault I really found was that they were far too narrow for me.